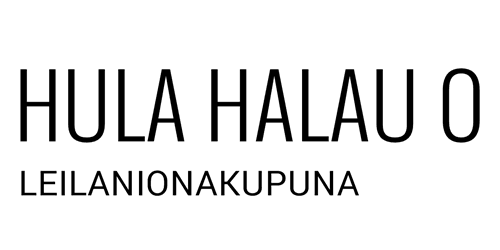 Hula Halau O Leilanionakupuna (HHOL) is a Polynesian dance school located just North of Orlando, Florida. We currently offer Hula and Tahitian dance classes in two locations – Casselberry/Altamonte area and Apopka. Classes are open to all adults and children ages 3 and older, and are held in safe, family-friendly facilities. We strive to maintain a positive, encouraging, nonjudgmental environment for students of all ages, genders, and fitness levels; where everyone feels welcome and eager to participate. Our Halau name, “Hula Halau O Leilanionakupuna” means “Hula School of the Heavenly Lei of the Ancestors,” which relates to the sharing of valuable information that has been passed down through our Hula lineage of Kumu Hula and Instructors. These Kumu have willingly shared their experiences and knowledge of the Polynesian cultures, dances, history, legends, stories, music, language, and crafts for the purpose of allowing us to share this information with others to help protect and perpetuate the Polynesian Culture. Kumu (Teacher) Debi Leilanionakupuna Paul, “Leilani” has been dancing for over 35 years and loves sharing her passion for the Polynesian Culture, Dance, and Music with others. She teaches Hula, Ori Tahitian Dance, and Maori Poi Ball dances from New Zealand. She also offers other styles of Polynesian dance periodically during special workshops throughout the year, such as Samoan Siva and Advanced level classes, where she may bring in other Kumu/Teachers to share their knowledge with her haumana (students). Leilani’s early dance years were spent learning Ballet, Tap, and Jazz; until she took her first Hula lesson at age 10. It was then that her passion for Hula and journey as a hula dancer began. Her style of teaching and dance has been influenced by many Kumu/Teachers she has trained with from Hawai’i, Tahiti, and Samoa throughout her career. She continues to learn from others to strengthen her knowledge, skills, and technique.